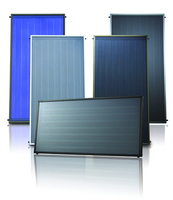 You are here: home » Basics » Basics » Heretofore » What is a Flat Plate Solar Collector? 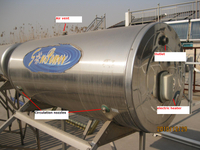 Flat plate solar thermal collector is suitable for residential or commercial solar water heating projects. While the basic flat plate design has been around for a long time, and is the most widely used type of solar thermal panel for domestic hot water supply, not all collectors are designed and made alike. 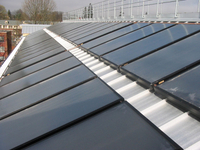 Choice of material and design aspects can greatly affect not only the solar thermal performance but also the reliability when operating in many varied environmental conditions. Sunpower has chosen only the highest quality materials to ensure reliable, efficient operation and collector longevity. The diagram below shows the basic construction of the collector.